To date Naomi has closed approximately three hundred and fifty million dollars worth of residential, multi-unit, and investment properties, with an impressive real estate portfolio representing a sophisticated and diverse national and international clientele, in both Los Angeles and New York City. With a very heavy focus in professional athletes and entertainers, there isn’t a professional sports team or entertainment division Naomi hasn’t worked with. As a former collegiate athlete herself, Naomi understands and thrives on the ability to work in a team environment and being a skilled decision maker. 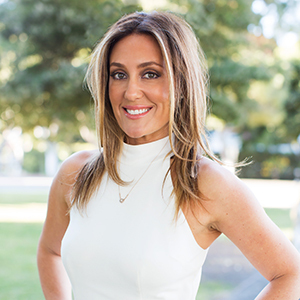 Her continued strong brand awareness and constant pulse on the real estate market and market trends, has helped create a loyal brand of clients, with the majority of her business done by referrals. From Malibu to Hollywood, first time home-buyer or experienced investor, Naomi has you covered. Twelve “official” years later, Naomi is stronger than ever, with a team of people working under her, also former collegiate athletes. Naomi’s personal experiences, unparalleled negotiating skills, and extensive knowledge for every project, play an integral role in her transactions, incorporating strategic and out-of-the-box thinking for short-term and long-term investments. With the track record to prove it, Naomi credits her success to listening to her clients and being an advocate for her clients. For Naomi, success comes naturally by focusing on five key elements: instinct, transparency, exclusivity, discretion and values.